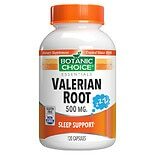 Shop Botanic Choice Valerian Root 500 mg Herbal Supplement Capsules (60 ea. )60 ea. 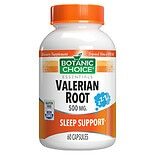 Shop Botanic Choice Valerian Root 500 mg Herbal Supplement Capsules (120 ea. )120 ea. Valerian root (Valeriana officinalis) comes from a flowering plant that grows in North America. It's been used medicinally since ancient times when it was used mainly as an herbal sleep aid. 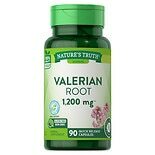 Today some practitioners recommend valerian root capsules for people who have trouble falling asleep or staying asleep. Some also recommend capsules as remedies for anxiety, depression or menstrual cramps. Is there research to support its benefits? A study published in the American Journal of Medicine showed valerian improved sleep quality in people with insomnia without causing significant side effects. Other research suggests valerian modestly improves sleep quality in people with insomnia. Valerian root has a "calming" effect on the brain. This may explain why it's helpful for sleep and anxiety. More research is needed to look at Valerian's health benefits for anxiety and depression. One study showed Valerian was effective for relieving the pain of menstrual cramps. It seems to work by reducing muscle spasms. More research is needed in this area as well. Does Valerian Have Side Effects? 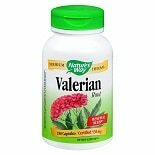 Valerian root dietary supplements appear to be safe with short term use or no longer than 4 weeks. Most people appear to tolerate valerian root well and experience few side effects. The most common side effects are upset stomach or a mild headache. It can also cause heart beat irregularities although this is rare. Some people take valerian root with other herbs and drugs that treat anxiety or depression. This increases the risk for side effects and may lead to daytime sleepiness. 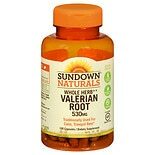 It's important not to drive or operate machinery after taking valerian root capsules due to the potential for drowsiness. It's also possible to be allergic to valerian root and experience an allergic reaction. There have been cases of liver injury when people used a combination of valerian with other herbs. It's not clear whether valerian or some other herb or ingredient was responsible. 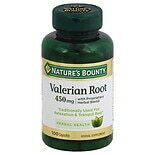 If you have a history of medical problems, especially liver disease, or are taking medications, see your doctor before taking valerian root. It's important to check with your doctor before taking any supplement. In addition, seek your healthcare provider's approval before continuing to take this herb for more than 4 weeks since the safety of its long-term use has not been evaluated.